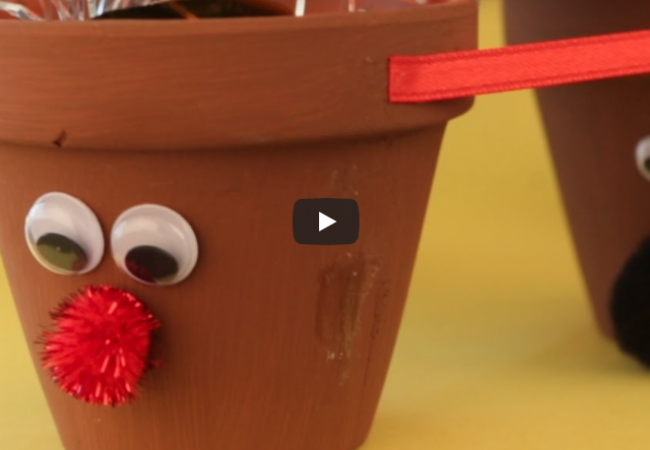 For young children, giving without expectation is a big concept to grasp – but learning about the importance of kindness and generosity at a young age is essential to building strong character skills. 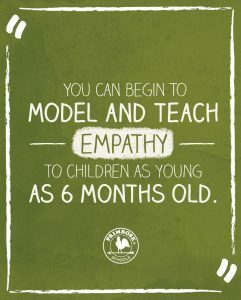 According to child development expert Dr. Gail Gross, even though children do not have the cognitive skills to fully understand the concept of empathy until they reach the age of 8 or 9, you can begin to model and teach empathy to children as young as 6 months old. This is when your child starts observing and learning from your reactions to people and situations. More opportunities for nurturing empathy and integrity arise as your child grows, but much of the foundation is built during the earliest years. 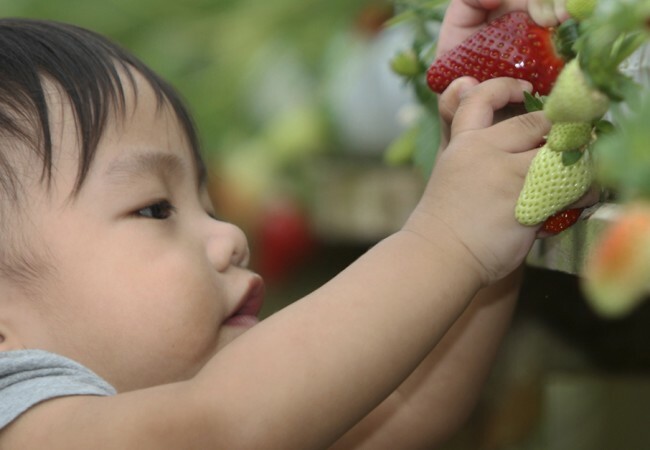 As our partner ZERO TO THREE® outlines, several developmental milestones occur within the first 24 months of a child’s life that empower him or her to grow into a caring adult. Recently, we took a closer look at the facts surrounding the early development of character traits and surveyed hundreds of parents to find out which traits they felt were most important to nurture in young children. See the full results here. At Primrose, we believe that who children become is as important as what they know. That’s why we focus on helping children develop not only intellectual skills, but also traits like generosity and compassion. We instill the importance of giving back early on through fun, engaging lessons and hands-on learning. 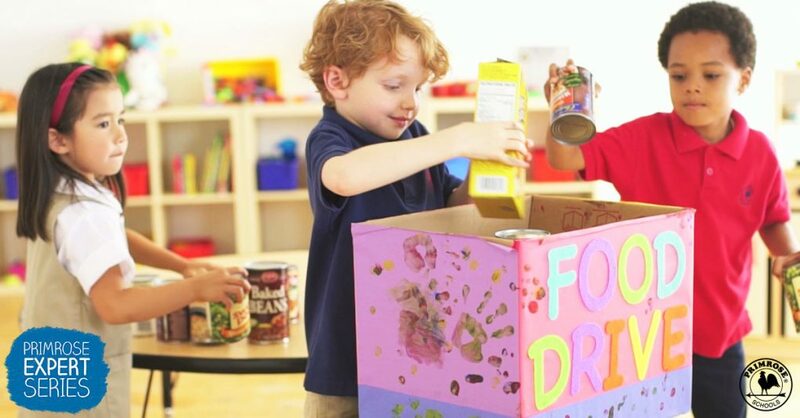 One of our students’ favorite hands-on giving projects is our annual Caring and Giving Food Drive, which takes place each November in all Primrose schools. 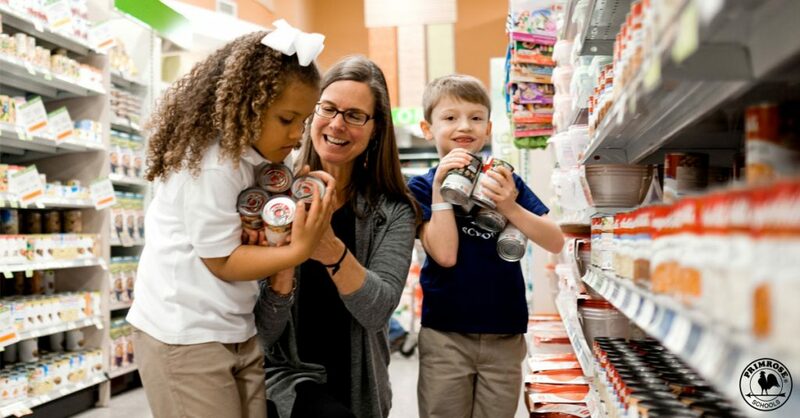 Unlike many other food drives, the Caring and Giving program goes beyond the classroom, as teachers and parents partner together to teach children the importance of responsibility, generosity and giving without expectation. The program includes activities like building shopping lists and taking field trips to purchase and deliver the food to local food banks or charities. Students also use academic skills like math, music and writing through fun activities like estimating the cost of the shopping trip, singing about being thankful, and discussing what happens after food is delivered to a food bank. Each activity serves to reinforce the main lessons of the Caring and Giving Food Drive: responsibility, kindness, community involvement and giving without expectation. It’s amazing and touching to watch children develop the foundation for empathy, generosity and compassion at such an early age. Remember, if you model kindness and encourage your child to do the same, your child will learn as you show them the joy and fulfillment that comes from lending a helping hand. Looking to help your child develop good character traits? Check out our tips and resources.